Summary: It's taken a long time for me to feel like a normal teenager. But now that I'm settled in a new school, where people know me as more than Charlotte Silver of the infamous Silver family paranormal investigators, it feels like everything is falling into place. And what better way to be normal than to go on a date with a popular football star like Harris Abbott? 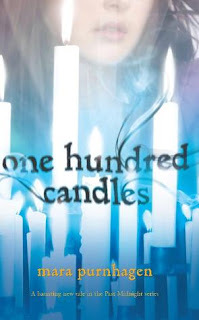 After all, it's not as if Noah is anything more than a friend….But my new life takes a disturbing turn when Harris brings me to a party and we play a game called One Hundred Candles. It seems like harmless, ghostly fun. Until spirits unleashed by the game start showing up at school. Now my friends and family are in very real danger, and the door that I've opened into another realm may yield deadly consequences. This sounds like an awesome book! I'm IN! :) Thanks for the giveaway! ohh I heard good things about this one, I would love to be entered. Thank you for the great contests and giveaways. I've heard this book is good, would love to read it! I really want to read this series. Thanks for the giveaway. I've heard great things about this series and would love the chance to read it. Thanks! Interesting. It's got me curious to read it. Great giveaway! Would love to be entered! Sounds like it could be good. Thanks for the giveaway! I haven't read Past Midnight yet, but maybe having this one would motivate me...haha. I've heard this is a great series. I would love to read this! Thanks for the chance to win! 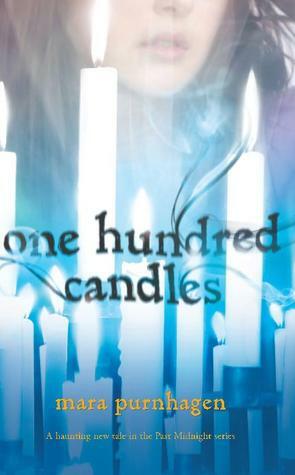 I just finished the first book and i loved it!